"April Fools on Life with Luigi"
"How'd you get that smudge on your face?" "Did you know you have a flat tire?" "What's that on your neck?" Jokes, pranks, gags and hoaxes abound with Blondie, Henry Aldrich, and Red Skelton. Even Watson gets in on the act when he plays tricks on Sherlock Holmes - but only to take him down a peg, "the ol boy does take himself too seriously." Find out who will get caught and who will get seltzer down their pants!April may bring showers, but it also brings gags galore! So take a seat on your whoppee cushion and precariously place a bucket of water on the top of the door. 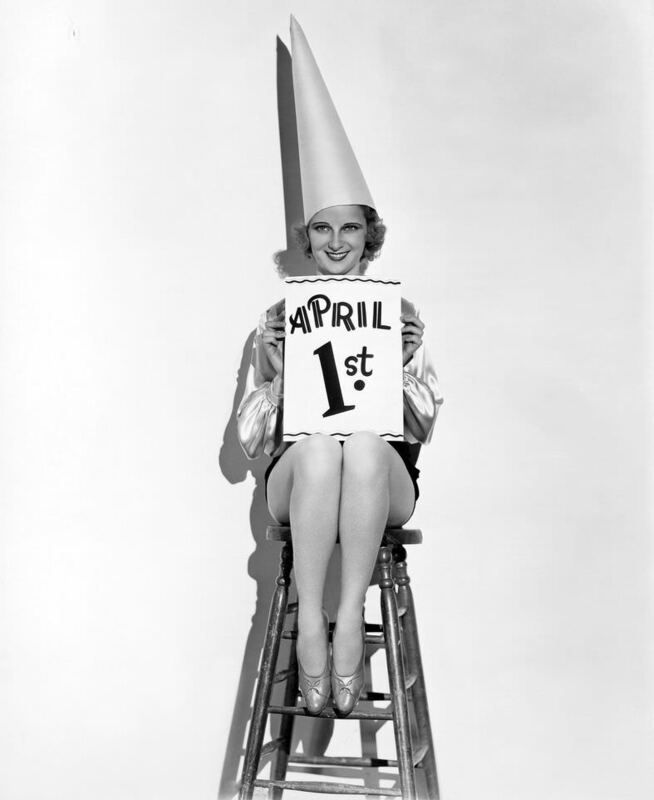 These April Fools shows will get you in the mood for April First, the funniest day of the year. Over the years am always ordering or visiting but never leaving word. So...THANKS for all the great product and service. My days are joyously filled with the nostalgia of OTR thanks to you. Its always a pleasure to visit the site and I find my self like a child in a candy store. As long as OTR CAT is around this will be my source for old time radio.